Does God Want to Interrupt Your Church? While revisiting the History Channel's The Bible miniseries, I enjoyed watching how a classic story in Mark 2 was brought to life on screen. "And when he returned to Capernaum after some days, it was reported that he was at home. And many were gathered together, so that there was no more room, not even at the door. And he was preaching the word to them" (Mark 2:1-2, ESV). Even though there is great darkness present in the world today, there are still lots of people coming to church looking for answers. This is why we have mega-churches. This is why we have international teaching ministries. This is why we are selling Christians books, CDs, DVDs, audio downloads, etc. People are desperate for solutions to the impossibilities and challenges they face on a daily basis. We give them lots and lots ... and lots of teaching. But is there something missing? Could it be that we need a supernatural interruption? Yes, we need to be theologically educated in the essentials of our faith. Of course we need to be grounded in the cornerstones of Scripture: the Virgin Birth, Jesus' death and resurrection, salvation, heaven, hell, the afterlife, etc. We must glean principles from God's Word on how to actually live the Christian life effectively. All of this is true. We clearly see in Mark 2 that Jesus was in the house, "preaching the word to them." The Son of God definitely made the point that teaching was very important. But what if there was more than teaching? "And they came, bringing to him a paralytic carried by four men" (Mark 2:3)." The four men in this story inspired my new book, Breakthrough Faith: Living a Life Where Anything Is Possible. They heard that Jesus had come to town. Something about what they heard ignited their faith. I'm sure they caught wind that Jesus was an amazing teacher who preached Scripture with authority. But I'm betting that their faith was deeply stirred because they heard that Jesus was also mighty in deed (see Luke 24:19, NASB). Theologian and Holy Fire author R.T. Kendall said it best—there has been a silent divorce between the Word and Spirit. We are inundated with solid (and sadly, not so solid) Bible instruction, but where is the demonstration? We often emphasize the word; my question is where is the deed? The balance of both is powerfully illustrated in this story of the four men and their paralyzed friend. They heard that Jesus was mighty in both word and deed, and this testimony drew them to the place where He was preaching. For all intents and purposes, the people in this story were having church with Jesus. They were gathered in a building and Jesus was doing the teaching. Let's just say that if there was any church service in history that should not be interrupted, it would be one where Jesus Christ is the One doing the teaching and preaching. Every word that comes out of His mouth is life changing. So what happens? The four men who heard that Jesus "did powerful miracles" (Luke 24:19, NLT) brought their paralyzed friend to the Healer. Unfortunately, they encountered a problem. "And when they could not get near him because of the crowd, they removed the roof above him, and when they had made an opening, they let down the bed on which the paralytic lay" (Mark 2:4, ESV). Suffice it to say, this is one very loaded scripture. The four men encountered resistance—the massive crowd. Yet, they did not let this setback detour them. They did not allow an obstacle to turn them around. They were intent on seeing their friend miraculously healed because they knew that the Man teaching inside the packed building was "anointed ... with the Holy Spirit and with power ... doing good and healing all who were oppressed by the devil, for God was with him" (Acts 10:38). Thus, they did what was natural (or supernatural). They climbed up onto the roof, dug a hole through it and lowered their paralyzed friend down on his bed. Talk about a major interruption! Can you imagine if this happened in church today? I'd dare ask, could it happen in the church today? This is where I recommend watching The Bible miniseries and how it portrays Jesus' response. He was not aggravated. He did not call for security or summon a bouncer. "And when Jesus saw their faith, he said to the paralytic, 'Son, your sins are forgiven'" (Mark 2:5). The scribes didn't like this at all because Jesus was claiming to be Someone Who could actually forgive sins (sounded a lot like God). Just to confirm His authority on Earth to forgive sins, Jesus also heals the paralyzed man. We know how the story works out. What I want us to look at and be challenged by is how Jesus responds to the faith of these four crazy friends. Yes, climbing up on the roof, breaking through and lowering a paralyzed man down is crazy—naturally speaking. But these men had faith that could not remain conceptual. We see in this story that their faith became visible. When Jesus saw this radical demonstration of trust, He did not rebuke them. Far from it. He responded by performing two miracles: forgiving sins and healing sickness. Let me pose this question, then: Are we interruptible in our 21st century church culture? I know there is protocol to be followed. I'm not calling for chaos. Having a plan is not bad. Preparing for a sermon is good stewardship. Structuring your service is not unspiritual. But ... what is more important: sticking to the plan or allowing for divine interruption? Let's take it a step further. Do we long and actually hunger for supernatural interruption? I pray that we do. It's the very attitude that says, "Lord, interrupt me!" that positions a person, community and region to experience revival. I pray we start to yearn for those moments where the Spirit of God breaks in with such power and spontaneity that we don't know what to do ... and that's okay because it causes us to cry out, "Holy Spirit, I need Your help! What do You want to do?" Yes, He does give us our plans and structures beforehand. But other times, He likes to create them in real time. Let's be open to this. Teaching is wonderful, but let's never, ever exchange the Spirit for the Word. Jesus never upheld one above the other. Let's go after all of God's Word and all of God's Spirit. After all, it's a pretty amazing thing when we get to see what Jesus taught come to life before our eyes. We may preach about the miracles He performed, but are we actively seeing them in our lives? In our churches? In our communities? It's time to bring our level of demonstration into agreement with what Jesus modeled. Reminds us of the absolute supremacy of Jesus Christ over all things. Everything must bow before the Name and power of Jesus. Creates a healthy fear of the Lord. The God Who performs miracles is One before Whom to tremble. Demonstrates the continuous in-breaking of God's kingdom into our world. Healing and deliverance confirm that the kingdom of God is releasing light to dark places. Reveals a glimpse of the age to come. The miraculous gives us sneak previews of how heaven operates. Confirms the reality and nearness of God to His people. When God moves in power, we are reminded that He is not a theology, He is not a doctrine and He is not a concept. God is real. He is a Person. He is alive. And He is active in our world today! Larry Sparks is author of the new book Breakthrough Faith: Living a Life Where Anything Is Possible. He is a conference speaker, popular blogger, columnist and host of the weekly radio program, Voice of Destiny. 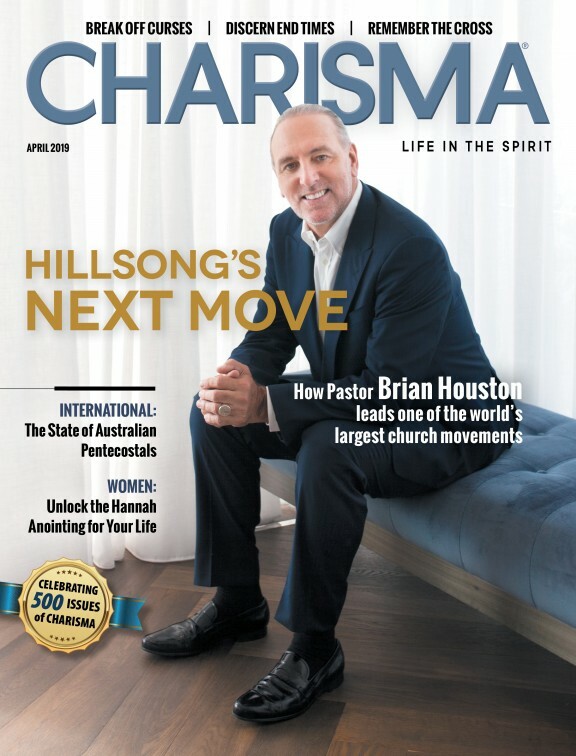 Featured in Charisma magazine and on CBN's Spiritual Gifts Webcast, he is also founder of Equip Culture—a ministry that equips believers with the tools and resources to live victoriously through the power of God.